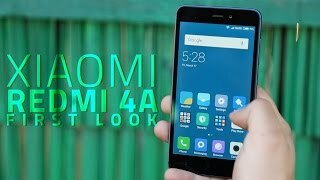 The new Redmi 4A is better, faster, and is possibly your best companion for both work and leisure. It packs a Snapdragon 425 64-bit, quad-core processor and a massive 3120mAh (typ)/ 3030mAh (min) battery that guarantees you smoother experience throughout the day. Yet it remains light – just 131.5g – and boasts a smooth matte finish that feels great in your hands. Beneath the 12.7cm (5) HD display runs MIUI 8, the latest operating system that is the most gorgeous and user-friendly operating system we’ve introduced so far. 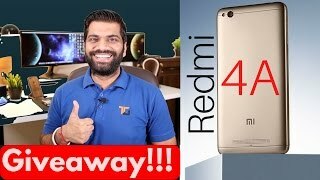 the lightest in the Redmi series. marathons, launch apps, and play games without worrying about running out of battery. to help you take, edit, and save those memories that are meant to be kept forever. accounts for any app, and that includes WhatsApp, Facebook, and more. log-ins, and expect more as we roll out more version updates in the future. Qualcomm® Snapdragon™ 425 64-bit processor and Adreno 308 graphics processing unit. 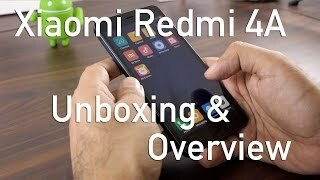 Redmi 4A has a 12.7cm (5) fully laminated display packed with pixels for HD resolution. It also has Read mode, which prevents eye fatigue by reducing blue light rays from the screen. Colour temperature can also be adjusted based on your preference – warm, standard, or cool. The Dual SIM slot supports two SIM cards to send and receive calls and messages from two different phone numbers. If you only have one SIM card, you have the option to add a microSD card for up to 128GB of storage.